CD Players (DiscMan) had always been too big to carry as a portable player. Mp3 Players whereas on the other hand are very small and easy to handle. 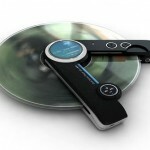 A new conceptual 2-in-1 mp3 and CD player is presented on the internet these days showing how a small mp3 player can also play CDs in it. What I think is, it is not a big deal to make such a player. It is very simple and can be made. Just a reading lens and a spinning motor will be additionally used in it. 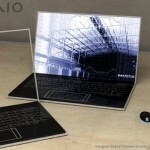 Here are the photos of this conceptual 2-in-1 mp3 and cd player.